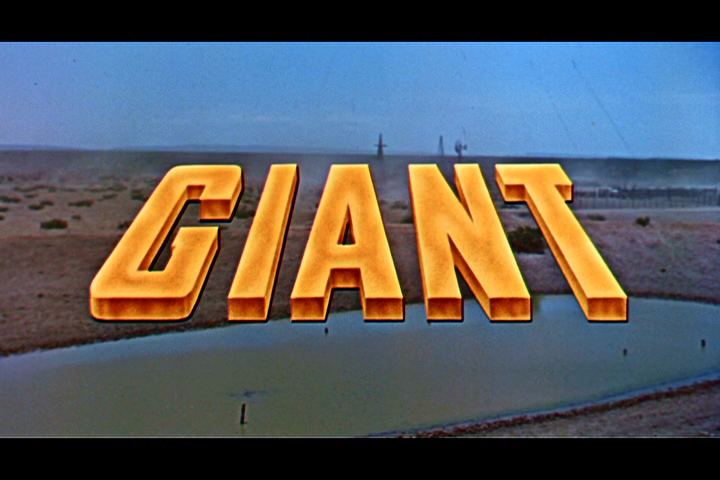 The 1956 film Giant is one of my favorite films of all time. 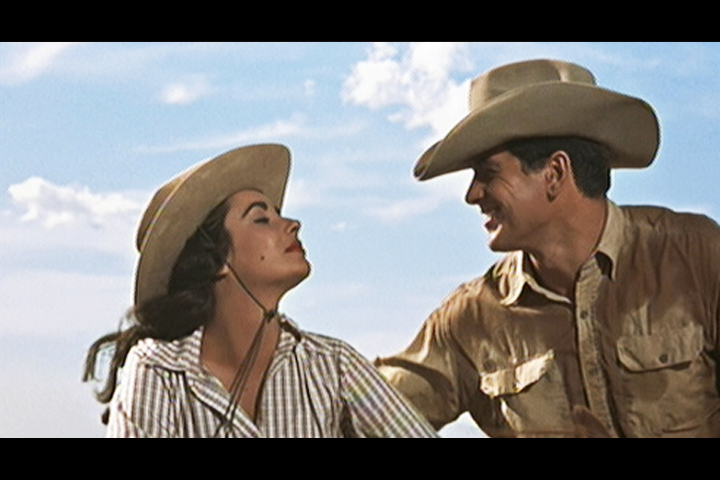 George Stevens won the Best Director Oscar that year and the film was nominated for a total of nine awards – Best Adapted Screenplay, Best Score, Best Film Editing, Best Costume Design – Color, Best Art Direction – Color, Best Supporting Actress – Mercedes McCambridge (she won the award for 1949’s All The King’s Men), Best Actor Rock Hudson, Best Actor James Dean (this was his second posthumous nomination in a row) and Best Picture. It lost to Around The World In 80 Days. 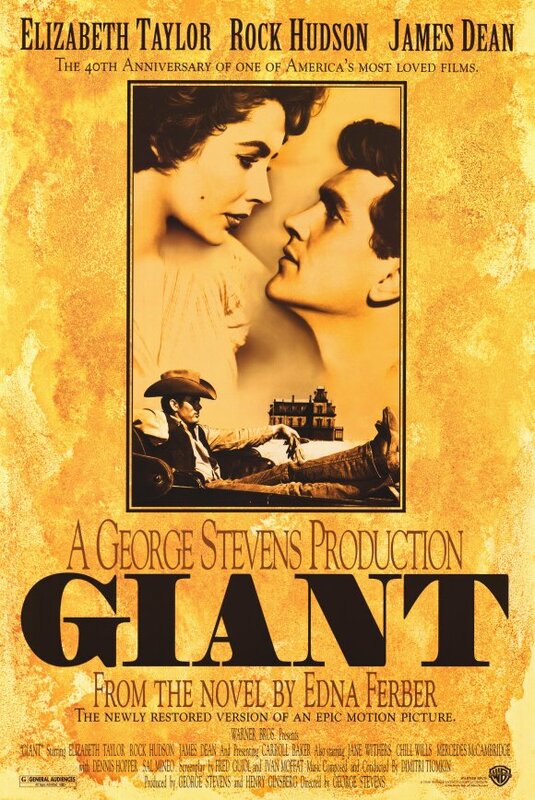 I recently watched that film and I would say there is no way it is a better film than Giant. 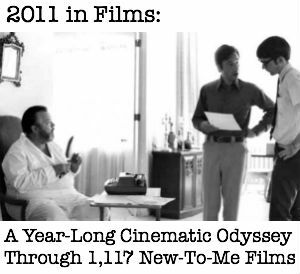 The other nominated films were Friendly Persuasion, The King and I and The Ten Commandments. Last week I also watched Gigi which beat Cat On A Hot Tin Roof in 1959, another year where the winner is in no way as good as some of its competition. I think the reason 80 Days won is because it’s a giant Technicolor travelogue, and 60 years ago it was filled with images that many people didn’t get to see in everyday life, whereas today all you have to do is flip to the Travel Channel. 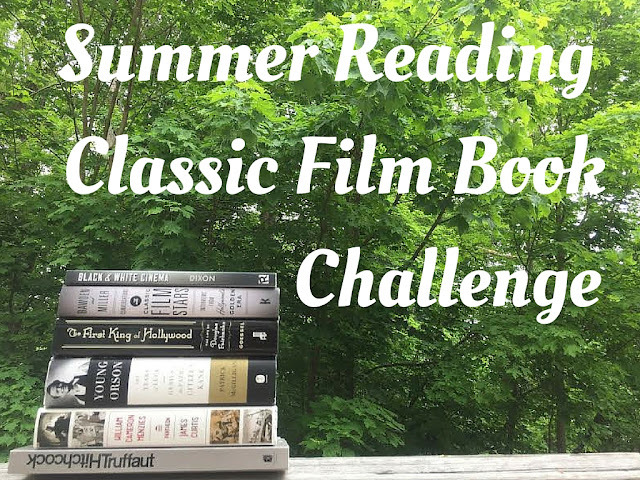 But if you compare the stories and the performances and the lasting power of the films, Giant is a classic in every definition of the word and is just as compelling now as it was in 1956 and 80 Days is most definitely not. I have kind of a funny story regarding Giant. I got the James Dean Collection for Christmas 2006 and Giant was the only one of his films I’d never seen, so I watched it right away and loved it and over the years watched it several times. Or so I thought I had. I moved to San Francisco in 2008 and some time that fall the Castro theater was showing all of James Dean’s films. The only one I was able to go to was Giant, but that was okay because it’s my favorite. So I’m watching it on the big screen and loving it and when it got to what I thought was the end of the film an “intermission” was announced and I was so confused. Ten minutes later the film started up again and I had never seen the last half! Apparently the DVD I have is double-sided and I never realized it! So here I was seeing the second half of the film for the first time ever and it was like getting to see a whole new James Dean performance because his character grows so much from the first half to the second half. After finally seeing the whole film I loved it even more than I had before. Moral of the story: always check your classic DVDs to see if the film continues on the flip-side! This film is really an Epic in every sense of the word. It’s well over 3 hours long and is based on the novel by Edna Ferber. It’s a sweeping look at how the oil industry changed Texas from a desolate place full of cattle to a land of millionaires. It also takes a serious look at the racism against Mexicans that was so prevalent in Texas early in the last century. 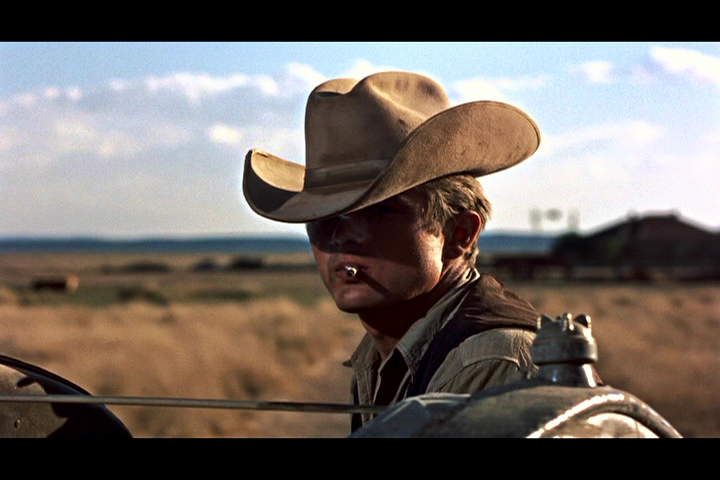 When we first see James Dean his face is hidden by a hat and he has a cigarette dangling from his mouth. It is so beautifully iconic and captures the spirit of Dean wonderfully. From the minute Dean appears on-screen to the last frame in which he appears this is Dean’s film. He has such presence and talent, he completely eclipses co-stars Rock Hudson and Elizabeth Taylor. He’s so effervescent and charming in this film, that it is his performance in this film, and not his other Oscar-nominated performance in East of Eden or his most iconic turn in Rebel Without A Cause, that makes me mourn the talent we lost so early. He demonstrates such range and such ability that I think he could have become even greater on-screen than Marlon Brando. It is clear that he takes a cue in style from Brando, but I think if he had lived he would have continued to get better and better and perhaps reached perfection. This is where I originally thought the filmed ended. It does not! It’s a really powerful scene though and Dean delivers his lines with gusto. 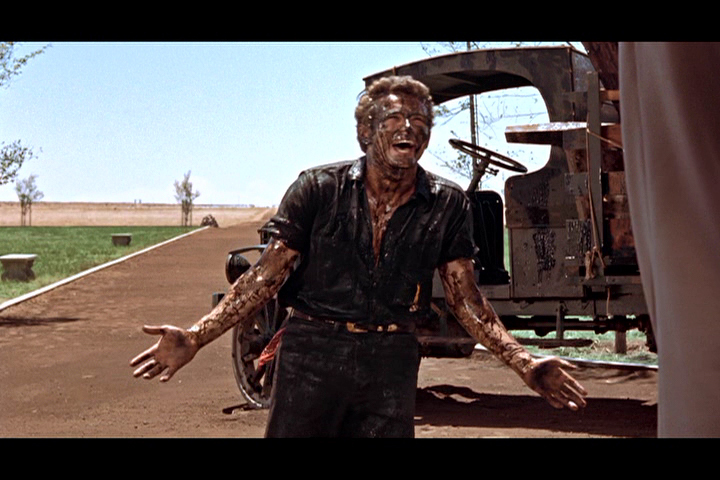 The second half of the film takes place about 15 years later than the scene where Dean’s Jett Rink finds oil. He has now become a savvy and somewhat pompous business man. 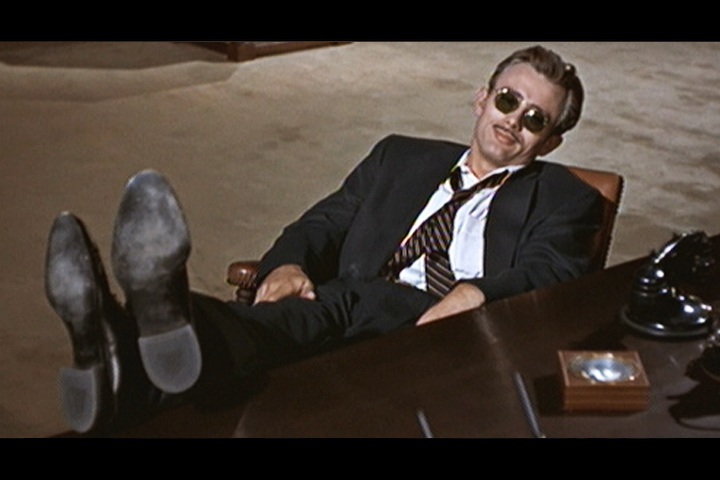 This is what I mean about seeing a completely new James Dean performance. He is so different from than the younger Rink, but with hints at his earlier self. It is just so wonderful. Apparently Dean had died before post-production finished on the film and some of his lines at the end of the film had to be dubbed over by Nick Adams. 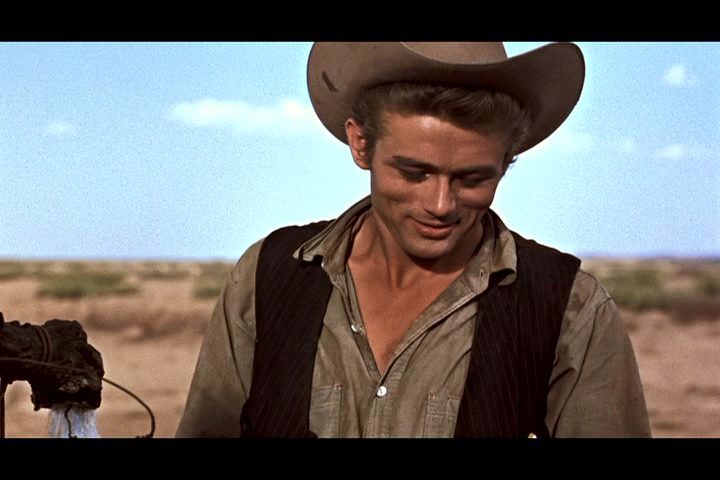 Regardless, his performance in this film earned Dean his second consecutive posthumous Best Actor nomination (he was nominated in 1955 for his performance in East of Eden). Ultimately, he lost the award to Yul Brynner in The King and I. 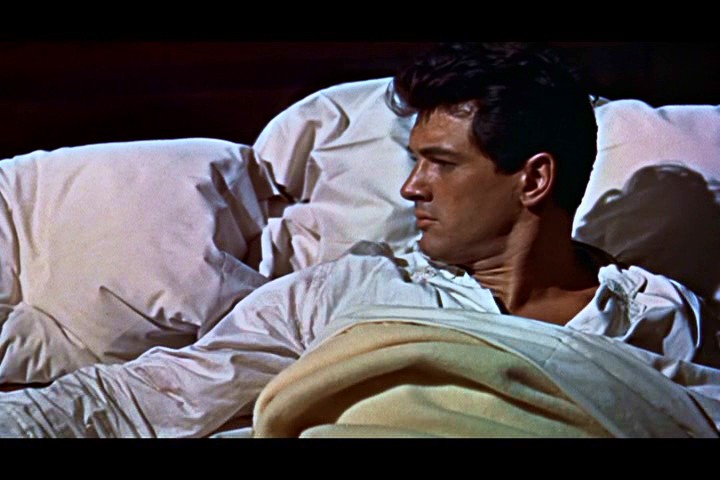 Rock Hudson is great in this film, too. 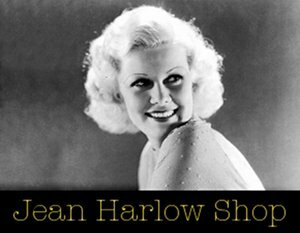 His dramatic performance as Jordan ‘Bick’ Benedict Jr. is a lot different from the Dorris Day romantic comedies for which Hudson is more known. This film marks Hudson’s only Oscar nomination of his entire career. Hudson’s interaction with all of his co-stars is where he really shines. He plays off of his surroundings stupendously. 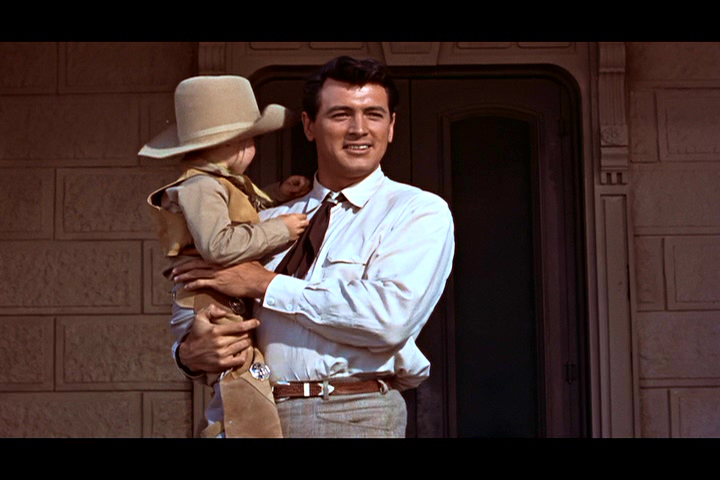 I also really love the scene where he tries to get his son to ride a horse. Needless to say, it does not end very well, but Hudson’s interaction with the young actor playing is son is really great. 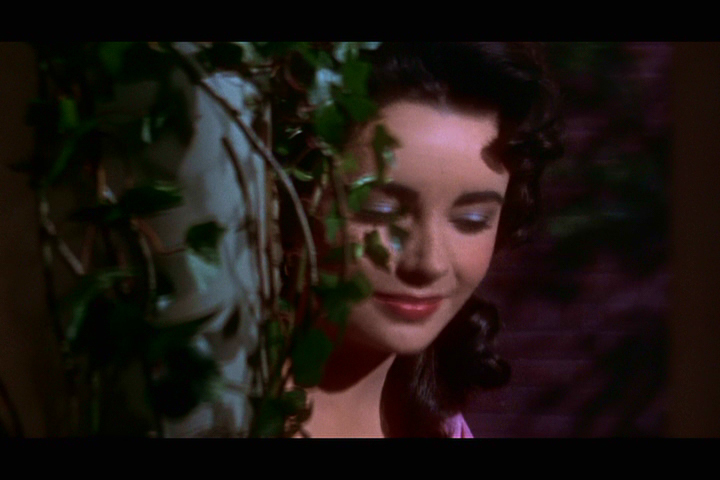 Elizabeth Taylor is really luminous throughout the film. It may not be her best performance, but it is my favorite. She lights up the screen. She starts out as a delicate East Coast socialite and as the film progresses she transforms into an oil empire matriarch. Taylor performance goes through this transformation with ease. Taylor and Hudson have wonderful on-screen chemistry. Sometimes quick on-screen romances seem silly, but with these two stars you really see the connection between them the moment they lay eyes on each other. As their characters lives change and grow, so does their relationship. 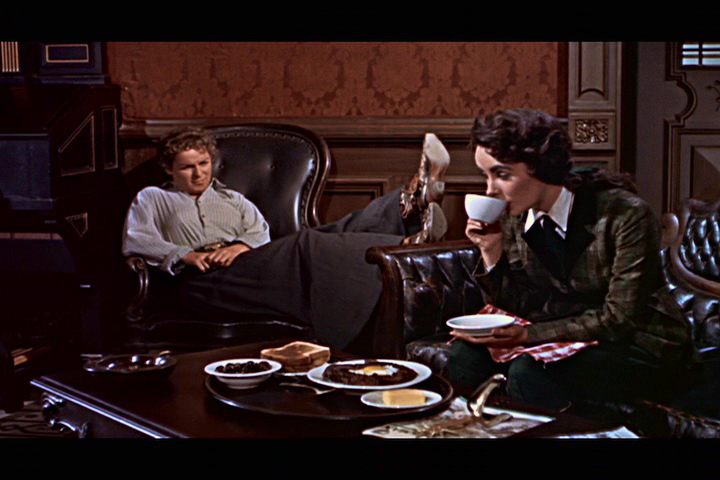 This is one of my favorite on-screen pairings of all-time. That being said, when Dean and Taylor are on-screen together the tension is equally palpable. I don’t mean to say that there’s tension between the stars, in fact the two were great friends. What I mean to say is the tension between the characters is absolutely perfect for the story. 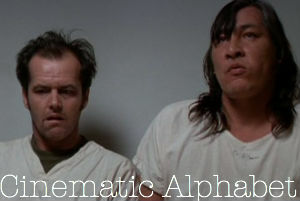 Knowing that the two were great friends makes the tension between them in the film even more astounding. Mercedes McCambridge gives a rough and raw performance as Luz, the sister of Hudson’s Bick and the matriarch of Reata, their ranch. She resents Taylor’s Leslie and is reluctant to let her take over the ranch. McCambridge was nominated for an Oscar for her performance and rightfully so. Her energy is matched only by that of Dean in the first half of the film. 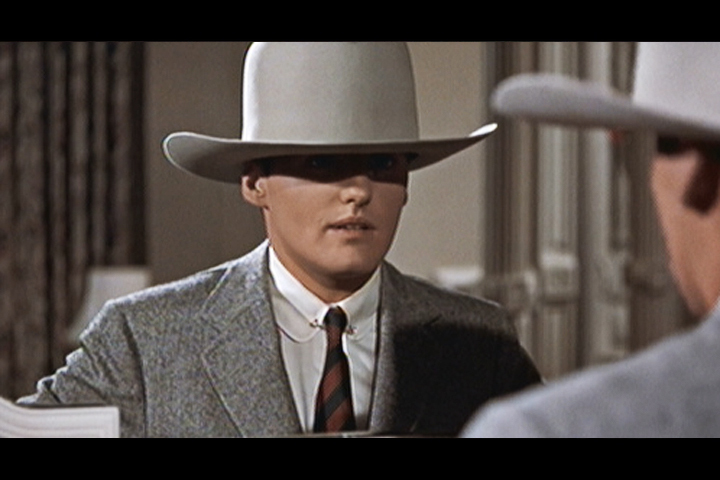 Dennis Hopper plays the grown up version of Rock Hudson’s son and gives one of his greatest performances. His character’s wife is Mexican-American and it is this story line where we see commentary on the racism that was so prevalent in Texas at the time. He gets it from his father, though not his mother, as well as from Dean’s older Jett Rink. Hopper’s performance is a dynamic combination of naiveté, passion and perseverance. 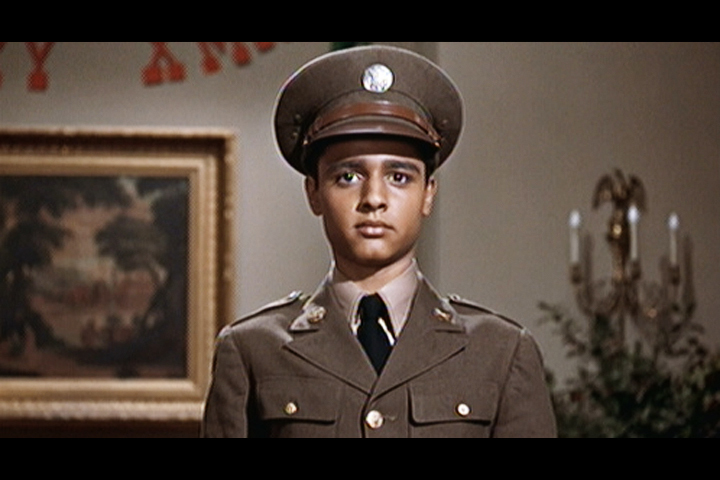 Sal Mineo also gives a great performance in a small role as Angel, the son of one of Bick’s workers who goes off into the army. He represents the bravery that Bick had always wanted for his son. This film definitely deserves multiple viewings and I think will remain one of the finest films of the classic Hollywood era for many more years to come. If you’re interested in buying the film you can do so here. 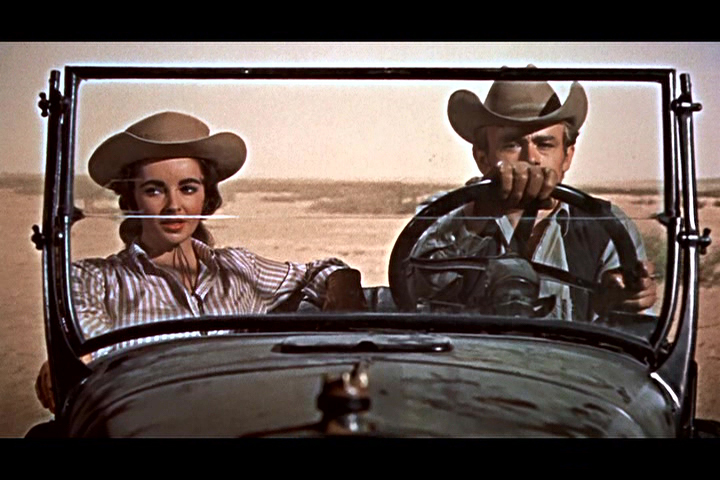 Posted on July 12, 2010, in Oscar Vault Monday and tagged 1956, Around the World in 80 Days, Dennis Hopper, Elizabeth Taylor, George Stevens, Giant, James Dean, Mercedes McCambridge, Oscar Vault Monday, Rock Hudson, Sal Mineo. Bookmark the permalink. 10 Comments. it’s really good. 201 minutes I believe, so we need a good chunk of time to watch it! 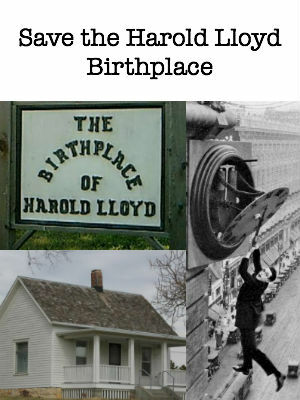 Very impressive blog site. I just watched Giant (1956) for the first time and came across your review for it. I like your story about how you’d only seen the first half of it for 4 years before seeing the second half. 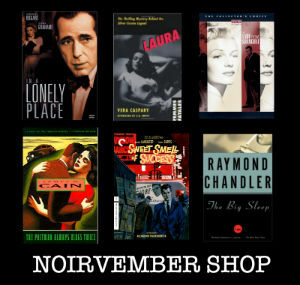 In my opinion I thought the film dipped a bit in the second half, although I did love Rock Hudson’s fight in the diner. Will definetly watch it again. 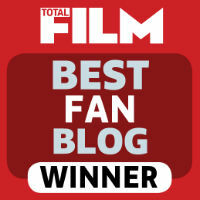 I also have a film blog, which is nowhere near as comprehensive, or eloquently presented as yours. You put a tremendous amount of effort and content in, it really shows. Sadly, I’m not half as dedicated.